If you’ve been hurt on the job, or you’ve become sick because of conditions at your workplace, then you may be wondering if you are eligible for workers’ compensation benefits in Georgia. The injury occurs on the job or because of the job. In other words, you must have been injured while you were doing tasks that benefit your employer or while you were at work. An accident that results in an injury or exposure to something toxic in the workplace environment that makes you sick could qualify you for workers’ compensation benefits. However, if you have an underlying condition, such as heart disease or sickle cell anemia, that is unrelated to your job, and you happen to become ill at work, then you may not be eligible for workers’ compensation. The worker is an employee. The worker must be an employee, and not an independent contractor or volunteer at the time that the worker is injured. If you are hired to work without a designated end date, if you are provided a regular hourly wage or salary, or if your employer withholds taxes from your paycheck, then you are likely an employee. Part-time or seasonal employees are still considered employees and are eligible for workers’ compensation. 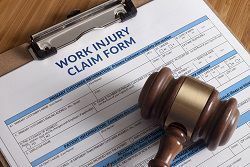 Temporary workers, who often have higher on-the-job injury rates than permanent employees, are typically covered by the temporary agency they work for and not by the company where they are placed. The employer regularly has three or more employees. Employers with two or fewer employees are not subject to Georgia workers’ compensation laws, and such employees who are injured may not have valid workers’ compensation claims. However, in these situations, the employer will not be protected by the exclusive remedy provision of the Workers’ Compensation Act, and the employee may be able to sue the employer if the employer’s negligence was the cause of their injury. Workers’ compensation covers employees from the moment they are hired. There is no minimum duration of employment or trial work period allowed before workers’ compensation goes into effect. A worker does not have to prove that the employer or other employees were negligent in order to recover workers’ compensation benefits. Workers’ compensation is a “no fault” system. Medical treatment: You should receive medical treatment for your work injury for as long as you need it. Medical treatment may include medication, physical therapy, diagnostic tests, doctors’ appointments, hospitalizations, surgeries, and any other treatment that is suggested by your doctor. In order for your medical benefits to be covered, you may be limited to treatment from an authorized treating physician who is on your employer’s list of approved physicians, or a physician pre-approved by your employer or its insurer. However, if your employer does not have a properly posted panel of physicians, then you may be free to choose any doctor you want to be your treating physician. Income benefits: If your treating doctor has said that you can’t work or that you can only work under restrictions that your employer cannot or will not accommodate, then you may be able to recover for your lost income while you are out of work. After a seven-day wait, you will become eligible for income benefits. Your income benefits are calculated in different ways depending on your unique situation. You can use our Workers’ Compensation Calculators to determine some of these values. In some cases, you may be entitled to two-thirds of your average weekly wage up to the statutory cap. However, if you haven’t been working that job for very long, then the earnings of your co-workers may be important in determining your income benefits. Additionally, things such as tips, bonuses, and meal allowances may also factor into the income benefits that you should receive. If you were working a second job at the time of your accident, under certain conditions those wages may apply as well in determining your average weekly wage. The insurance company profits by paying out as little as possible in workers’ compensation claims. Thus, even if you are confident that you are eligible to receive workers’ compensation, it is important to consult with an experienced workers’ compensation lawyer to make sure that all of your rights are protected and that you get the fair recovery that you deserve. Please start a live chat with us today to find out more about your own eligibility and potential recovery. How Long Do I Have to Be on the Job to Be Covered by Workers’ Compensation? Can I Get Workers’ Comp While I Get Unemployment or Short-Term Disability?